I would go with 1 if you want a cleaner, contemporary look. Then 3 if you want something "dirtier" and funkier. I have Margiela side zips that are kind of like #1. I wear them with MMM five-zip jackets, Schneider coats, Document robe coats, super wide Tommorrowland pants, Lemaire, etc. 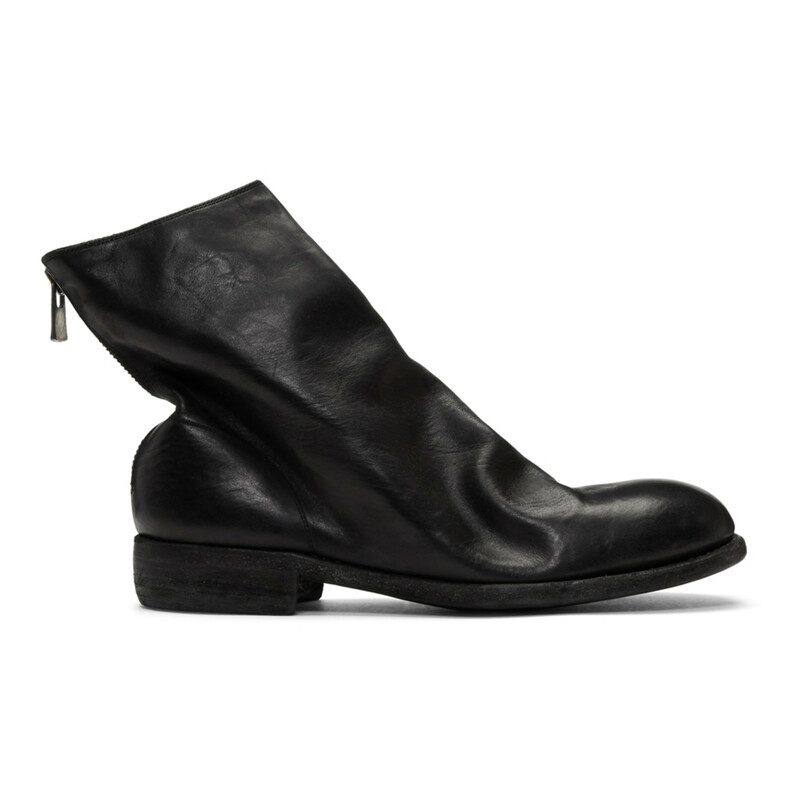 Don't really have anything like Guidis, but I think those would look nice with either that dark artisanal arte povera stuff or grungy workwear. Weren't guidis half the price before? Are chore coats ever not boring? But that’s not a bad thing. Always no to chore coats. I've realized that I have a really hard time scrolling through thumbnails of items online and 'seeing' how they would actually look like on me or as part of a fit with my other clothes. I see some of the stuff that's posted on WAYWT and it looks great and I realize I never would have looked twice at that item if I saw a thumbnail of it online. I have a fairly honed aesthetic so I wouldn't say it's a matter of me 'finding my look' it's more of a frustration of wanting to find things that don't immediately catch my eye because they are isolated in a thumbnail and I have a hard time imagining what it would actually look like on me or as part of an outfit. I liked Mozzie’s chore coats in White Collar.